Everything’s Bigger in Texas – Especially Our Style! 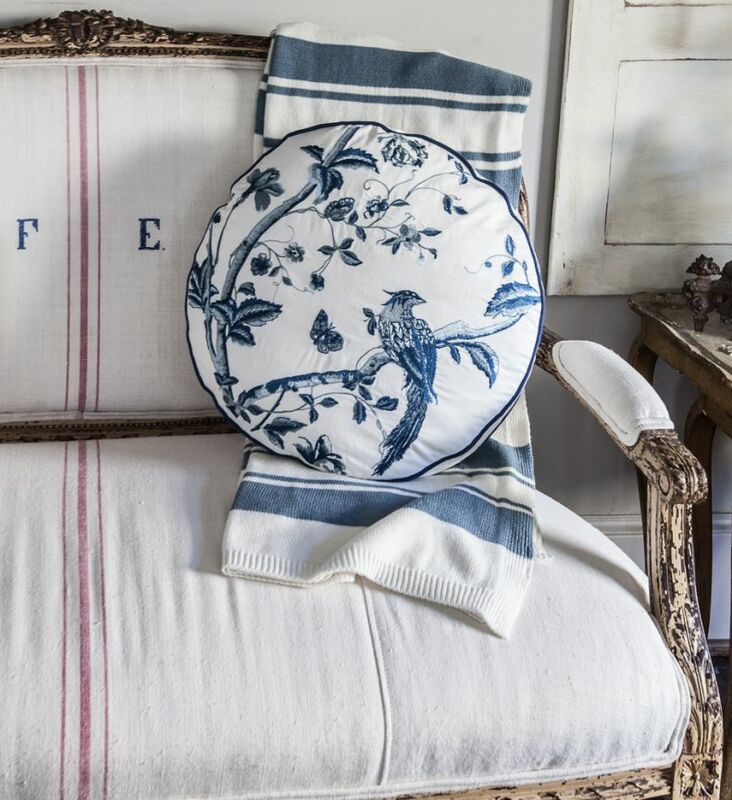 We are so excited to have guest blogger Anita Joyce, author of the book, French Accents, Farmhouse French Style for Today’s Home, and the founding editor of Cedar Hill Farmhouse. 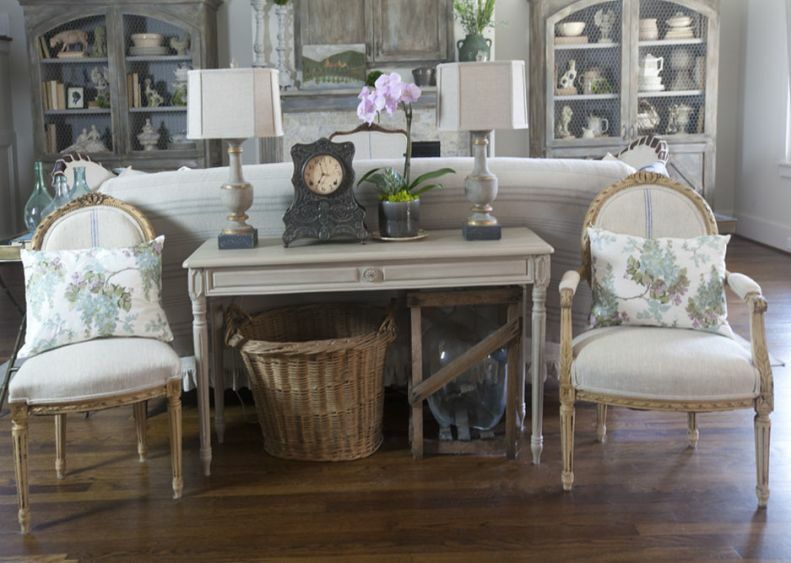 Anita recently decorated her home in Houston, Texas with Laura Ashley accents. I pride myself on creating a beautiful home, a place that embraces family and friends. 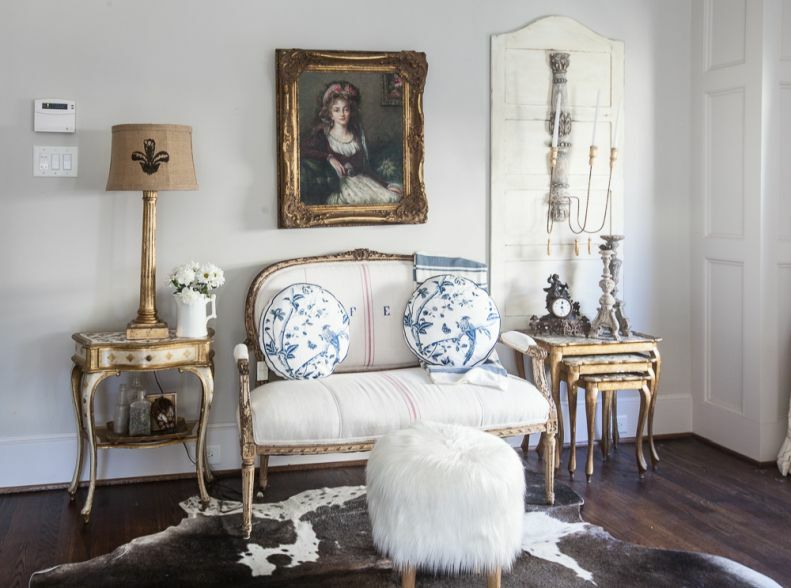 I initially decorated our home in Houston with neutral tones – cream and tan fabrics against French accented furniture. The simple look is the new modern, but I still wanted a subtle ‘pop’ of colour. My bedroom is a mix of textures from the printed floor rug to faux fur accent pillows. The settee is an antique that I recovered in vintage linen and grain sacks. The bed spread I made from linen fabric. 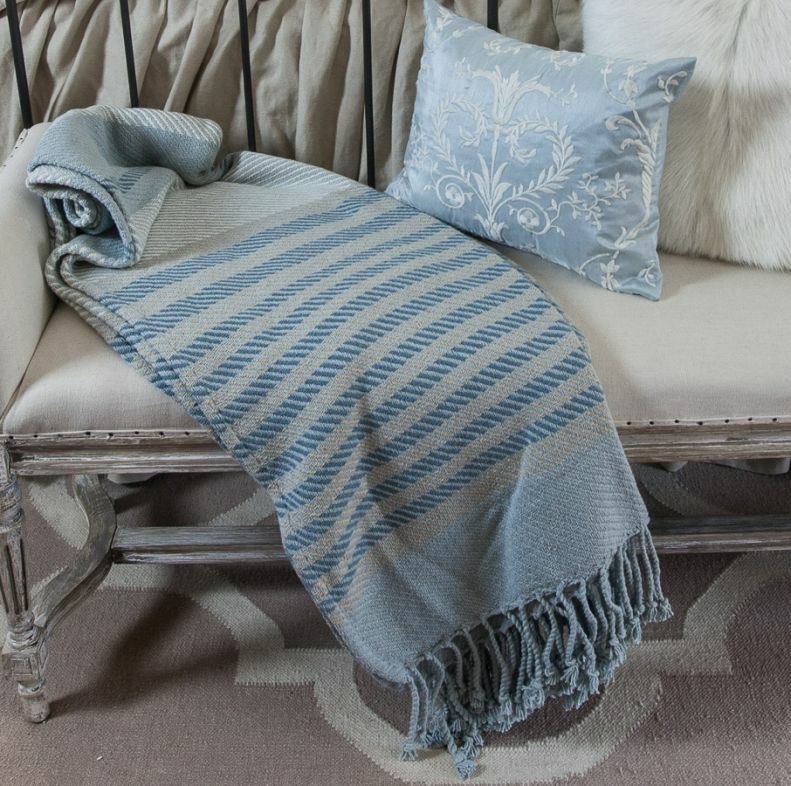 The blue Josette Dove Grey Embroidered Cushion and Shaldon Stripe Seaspray Throw were the perfect mix of patterns to soften the room while giving it quiet elegance. My bedroom also has a small sitting area with a classic gold adorned love seat. The Summer Palace Round Cushions and Ridley Stripe Seapray Throw added personality to the setting without overshadowing the gilded regal furniture and decor. Our living room has a main sitting area for the family, but the perimeter is adorned with rustic chairs. The chairs came with the settee shown in the bedroom and have also been recovered in antique grain sack fabric. 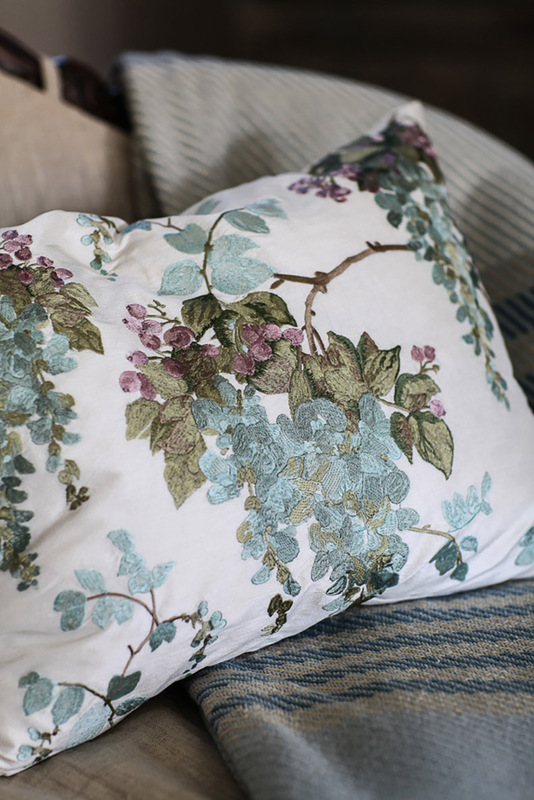 I added the Wisteria Floral Duck Egg Embroidered Cushions for a muted colour and the lavender hints let the vibrancy of my orchid stand out. I hope my cushiony advice has inspired you that colour can be included in the room without overpowering your statement pieces. We’d like to thank Anita for sharing her lovely home with us and those great decorating tips. Which is your favourite cushion from this assortment? Pop over to our site to get 30% off all cushions and throws through April 4, 2017! Be sure to tune in to Anita’s podcast on March 31 for more input on decorating with cushions! This entry was posted in At Home, Favourite Posts, In Style and tagged anita joyce, Bird designs, blue and white cushions, blue stripe throw, cedar hill, cedar hill farm, cedar hill farmhouse, cushion sale, embroidered cushions, floral cushions, french accents, Lara Ashley throws, Laura Ashley cushions, round cushions, Seaspray, stripe throw. Bookmark the permalink. Absolutely lovely! Anita told me about these cushions and I must say they are even more beautiful than I imagined. I know the quality is top notch as well. You see, I was once the assistant manager at the Southampton New York Laura Ashely store and STILL have clothing & accessories from those long gone days that look & feel fabulous! We are so happy to hear our styles and quality stand the test of time! 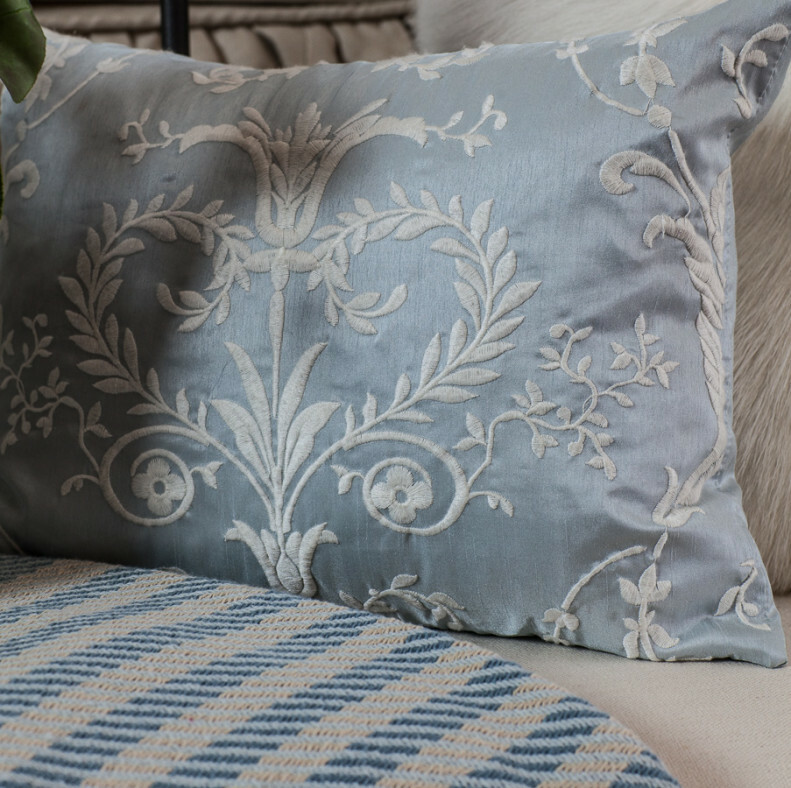 Hope you found some new cushions to accent your home!